Smart grid equipment is subject to Electromagnetic Interference (EMI) and Electromagnetic Compatibility (EMC). Equipment must prevent electromagnetic radiation interference to, and from other facilities, and also mitigate the influence of electromagnetic waves to human health. Substation automation system (SAS) continues operating when single communication component breaks down. 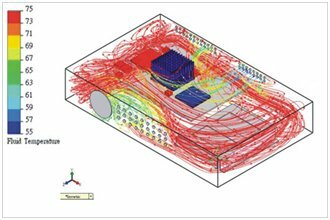 By using thermal simulation software, Winmate can analyze real-world thermal problems easily, quickly and accurately. 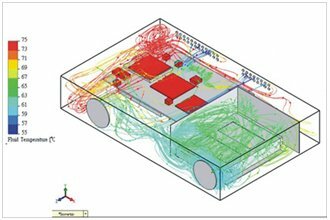 With a new breed of Computational Fluid Dynamics (CFD) tools, this simulation is based on the same mathematical foundation as traditional CFD software but is easy to use. 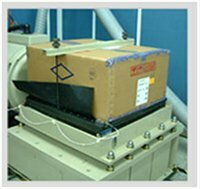 We use well-defined thermal analysis procedures to verify our systems to meet the harsh environment applications. Especially in fanless cooling design, we develop heat-sink or heat-pipe solution to conduct the heat and the air flow for the best thermal solution. We provide dedicated thermal analysis technology by using thermal analysis software. Before production, we use Infrared thermal video system (TVS) to check if our thermal design works. It is to check the thermal profile of the test unit, and also test if the test unit can work under different environment temperatures condition. Reference IEC 60068-2-2 Testing procedures, Test Bb: Dry Heat Test. Winmate provides products to deliver optimum performance over a wide range of temperatures in order to accommodate for diverse industrial applications such as outdoor kiosks in winter and summer (In generally test condition, real case should depend on your mechanical selection). At the high temperature condition, the mechanism maintains the power switch to protect from overheating. The power will turn off when over 65 degrees C, and will back to turn on status when the internal temperature drop back to 55 degrees. 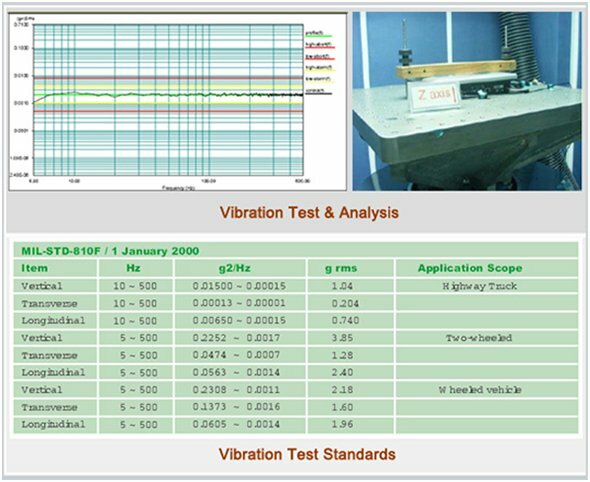 Following the different demands of anti-shock and vibration in all different kinds of applications, we can provide different grades of shock or vibration standards for our product range. Products that meet the standard could maintain its operation under severe environments. The drop test is to test the product in the box is 100% workable and intact the drop. EC 61850-3 is a standard that outlines a comprehensive safety framework for substation automation, transmission & delivery (T&D) automation, and smart grid application. The standard emphasizes the EMI immunity and environmental requirements for communications networks. The product that meets the IEC 61850-3 standard provides full-range, redundant power supply which ensures the high quality of electricity transmission. Large European company working in energy field modernizes the equipment of power inverters. 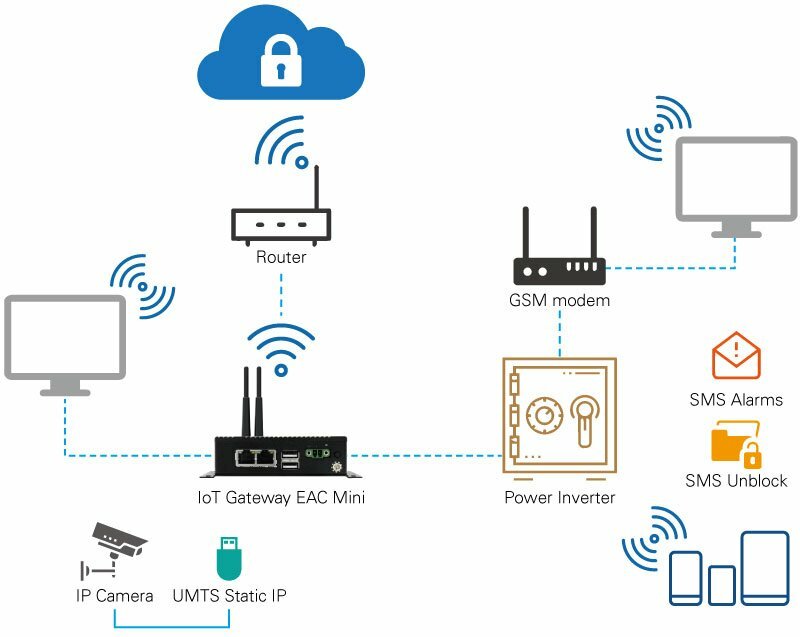 Traditional embedded PCs were replaced by IoT gateways to collect information from IP cameras and other external devices and directly send to router and internal LAN network. The solution allows remote control and data analysis. Efficient utility control can improve efficiency and reduce operational costs of the entire plant or factory. Complex system includes automation to control HVAC, lighting, utility consumption and access control systems. Human Machine Interfaces allow data visualization to increase resources consumption efficiencies through improved diagnostics and monitoring. Field workers in power substations usually work outside and require mobile devices to perform inspection, utility control and instant reporting. Winmate offers rugged, drop resistant tablet PCs and mobile computers with no compromising of computing power. Our high performance tablet computers with WWAN, WLAN wireless communications and built-in barcode scanner, RFID reader for data collection help to speed up inspection time and increase overall worker? efficiency.